I cant even tell you how much I love Valentines Day. I actually get teased about it a lot, but it really is one of my favorite holidays! Its the month of LOVE, and although we do not need a month to remind us to show our love for others, ill take any excuse to find cute ways to show my husband I love him. Not only that, but yesterday my boys and I made Valentines Day cards for all of their girl friends in the neighborhood, along with treats and a rose. They were SO excited, which made this holiday even better. With Valentines Day in mind, I thought id share with you a little outfit I put together inspired by the holiday. Im loving this gorgeous midi skirt from Chicwish and beautiful lace blouse from Fevrie. They compliment each other so well, and created this elegant ensamble id be proud to wear on Valentines Day, date night, maybe next Christmas, or even a semi formal party. The possibilites are endless! Make sure to stop by Fevrie and check out their New Arrivals, you will die when you see how adorable everything is! Happy Month of LOVE everyone, and make sure to see below for your chance to win a $50 store credit to Fevrie. See the rafflecopter below for your chance to win a $50 store credit to Fevrie.com! US only, entrants must be at least 13 years of age. Giveaway will run for one week, and will end next Wednesday 2/11 at 11;59 pm. Previous Post Pretty in Pink featuring Minday Maes Market and a GIVEAWAY!! You look beautiful in this look! And thanks so much for hosting the giveaway. Fingers crossed!! You look gorgeous! That skirt is amazing. Beautiful skirt, gorgeous color and structure. Also love the way you've done your hair. 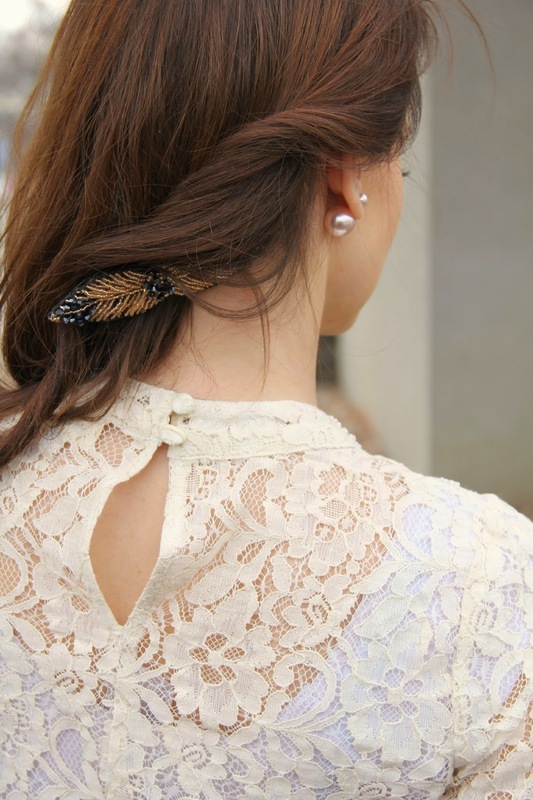 Aw, this is such a darling look! I love the red and lace-perfect combination. So gorgeous, as usual! And I have that same skirt! wore it in a post recently. What an absolutely stunning outfit! 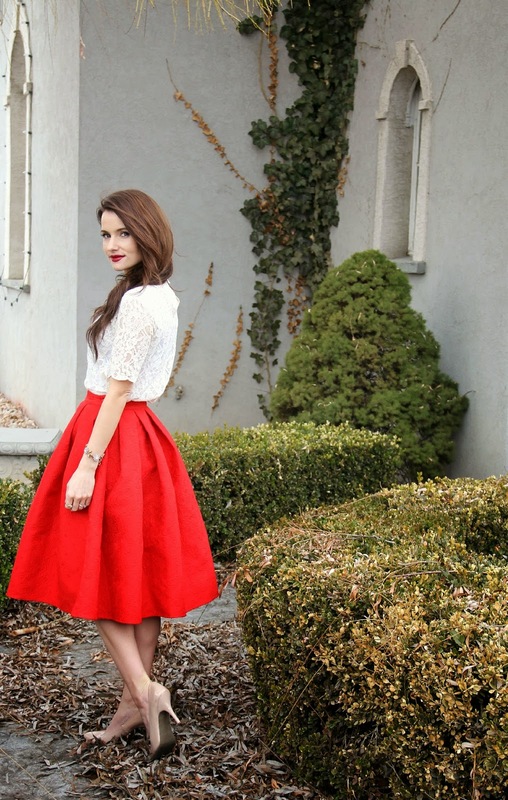 I never thought I would like a bright red midi-skirt, but you styled this one so beautifully. Classy and elegant! You look great! What size did you purchase this skirt in?